Commercial Interior Design Dubai UAE, in the most basic terms, interior design involves decorating or beautifying the interiors of a space. Commercial interior design is much more than just that. It is the entire process of conceptualizing and then constructing or renovating a commercial space, involving everything in-between- from layout planning to choice of building materials, from laying down sanitation system to putting the power system in place. Commercial design calls for a very specific and advanced set of skills, comprising mainly of exceptional teamwork and coordination. For successful commercial design, it is crucial for the interior designer to have a concrete practical knowledge and experience in the field of architecture, in addition to being extremely creative. Only then is it possible to create and bring to life a truly functional and beautiful commercial space. A commercial design team should be able to communicate effectively and coordinate with all the parties concerned with the project- the client, the actual construction team, and the various service providers. Ideally, the process begins with the interior designer working with the client, to get a basic understanding of their needs and expectations. Often called ‘field verification’, this stage involves taking the exact measurements of the workspace in order to plan the layout, and a lot of dialogue and brainstorming with the client, in order to understand the client’s needs and preferences better. Communication with the client is the key to thorough understanding of their vision- how they visualize the outcome- to the smallest detail possible and ultimately ensure utmost client satisfaction. Most successful commercial interior designers will view the space from the client’s lens to be able to create a space that most satisfies the client. Once the interior designer has a thorough understanding of the client’s aspirations, and a working knowledge of the space ‘as-is’, he or she can proceed with the actual planning and designing for constructing or renovating the space. This process involves adapting the present floor plan into a new plan, which might include some of the existing elements while incorporating new elements and ideas. As said before, this process calls for a designer who is not only creative, for adding the new elements, but also has a thorough practical expertise in architectural design, for successfully implementing these ideas on field. After drafting the final plans, the interior designer needs to present them to the client to get their approval. It is very important that the designer incorporate any changes or suggestions that the client may voice at this point. Once the designer has the final acceptance, the next stage involves the practical work on field- the workspace. For a good commercial interior design team, this means handling a gamut of responsibilities for the client, in order to make their experience as smooth as possible. The coordination would begin at preliminary tasks like obtaining building permits, communicating with tenants, if any, and hiring professionals like plumbers, electricians, construction people, carpenters, etc. The sole aim is to relieve the client of as many responsibilities as possible, and ensure a consistent progress in the project, while timely taking care of any anomalies that may arise. These days, commercial design is used to create commercial office spaces, factories and manufacturing plants, and even huge apartment complexes- all with the same efficiency and skill. 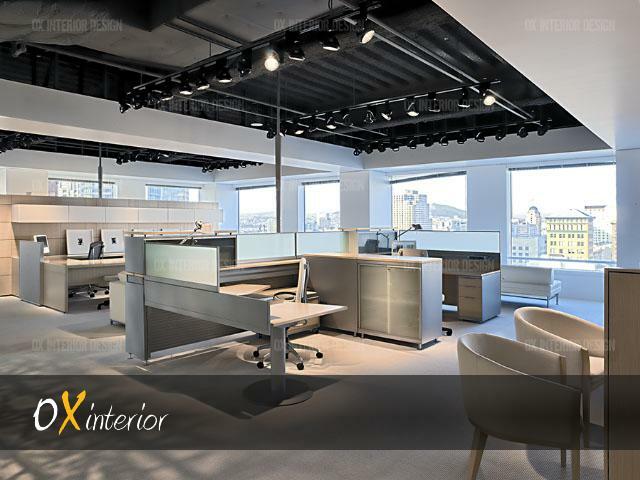 In this sense, a commercial interior designer would find the job quite challenging, although the entire process of commercial interior designing is equally rewarding, in all aspects. Commercial design in Dubai has caught on like a rage since the past few years. In a span of just four decades, Dubai has transformed from a desert city to a breathing man-made spectacle. Today, Dubai is the fastest developing city in the world, and has one the most developed infrastructure in the world. The marvelous man-made creations attract millions of tourists from all over the world. Over the years, Dubai has garnered the reputation of building the most grand and ambitious buildings and creations known to man. The ‘Burj Arab’ and the ‘Palm Island’ are two standing examples. The laborers that are exploited in the land of Dubai are the main reason behind the super-fast completion of projects in Dubai. Most commercial designs in Dubai are completed before the estimated time and this is a very advantageous feature for customers who need constructions to be done in Dubai and UAE. Investors can open floodgates of fortune and prosperity once they step into these places and more so if there are interested in commercial designs. Therefore, there cannot be a better design than commercial design in Dubai.